The banner notifications of iOS 7 are equally as annoying as they used to be in iOS 6. These banners take up a lot of screen space and stay their for a couple of seconds distracting you from whatever you were doing at that time. We were really hoping that Apple would come up with a better solution for notifications that would be a little bit more subtle but still visible to the user. Luckily if you are jailbroken then there’s a way you can make banner notifications better than they are right now. 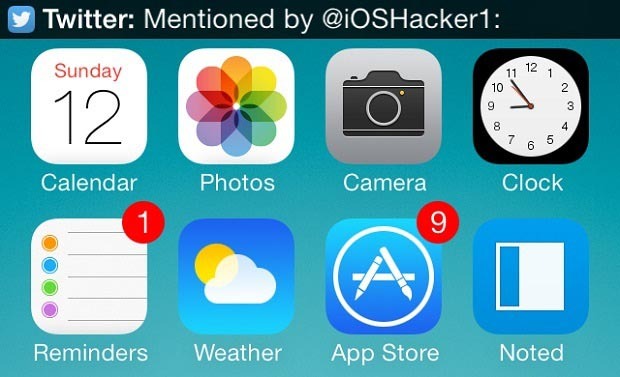 A tweak called TinyBar makes the banner notifications thin restricting them to the status bar. This tweak makes iOS notification banners look similar to Android’s only showing the name of the app and a short preview of the message. The message scrolls on the status bar towards left side before disappearing. The TinyBar tweak is not available in Cydia’s default repositories so you have to add developer’s personal repo to download it. On your jailbroken device add http://repo.alexzielenski.com/ in Cydia’s sources. Refresh Cydia from ‘Changes’ section. Then search for TinyBar if it does not appear on the ‘Changes’ page. It is available for free and perfectly works on iOS 7.